Brierholme is a lovely Victorian guest house located in the stunning market town of Keswick, with the shops, restaurants and attractions just a 1 minute walk away. There is free wi-fi throughout the house and we can offer private car parking to all our guests. A secure lock up garage is also available for cycles and motorbikes. We are surrounded by some of the UK’s finest scenery, ideal for walkers, cyclists, watersports enthusiasts, photographers and nature lovers, or those who just want to wind down and relax. A 10-minute stroll will take you to the shores of Lake Derwentwater. 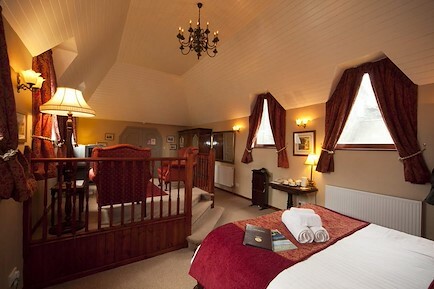 We have 6 fully en suite rooms, all with beautiful views of the surrounding fells. Over the last few years, Brierholme has been refurbished and upgraded to offer modern facilities whilst retaining its charm and character. The rooms are equipped with flat-screen TVs, hairdryers, complimentary toiletries, and individually controlled central heating radiators. There are also facilities for making tea, coffee and hot chocolate. At the heart of our breakfast menu is a top quality Cumbrian Full English, although lighter options are also available. Special dietary requirements can also be catered for. For the comfort and safety of all our guests, we offer a totally non-smoking environment. Children over 8 years old are very welcome. Unfortunately we are unable to accept pets. Keswick is found 16 miles West of Penrith (junction 40 on the M6 motorway), or 16 miles North of Ambleside. Brierholme is conveniently situated in the centre of Keswick. From M6: Exit M6 at junction 40, A66 to Keswick. Take first turning signposted Keswick, on reaching T-junction turn right onto A5271 (town centre 1 mile). Carry straight on through the pedestrian crossing, Bell Close car park will be on your left. Brierholme is situated on your right hand side, approximately 150 yards from the crossing. Your enquiry will be sent directly to Brierholme Guest House. Please fill in as much detail as you can.